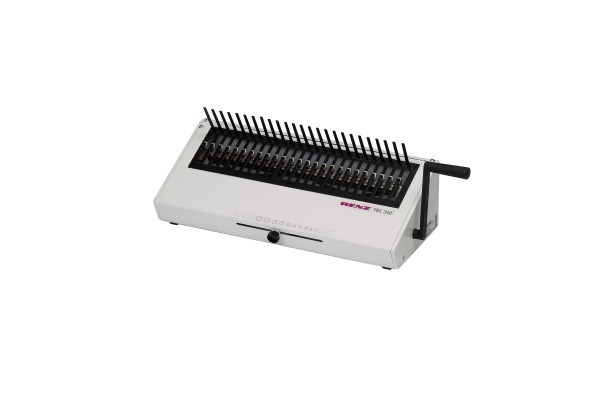 The Renz PBS 340 manual comb closer is a stand alone manual comb binding unit (no punching) which is designed for use along with the Renz DTP 340 electric punch. PBS340 comb binding unit can either be clipped onto the front of DTP340M or used as separate stand-alone unit. The same great German build quality as all Renz machines. Binds all combs sizes up to 51mm.